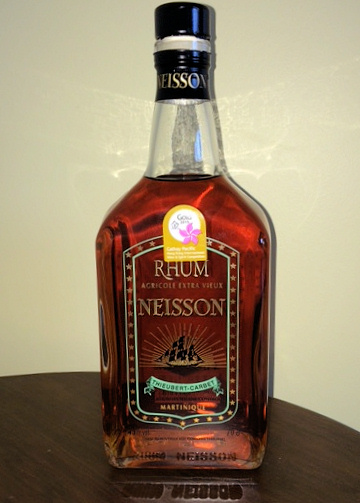 Have you found an online vendor selling Neisson Extra Vieux 1991? On the nose, there are nuts, caramel, vanilla and a woody very present .. The sugar cane is rather discreet. On the mouth, the woody is well present and the notes of vanilla dominate, it is fruity and floral. It almost feels like not being on an agricultural rum. Good experience. As this was my first experience with a truly aged (7-10 year blend I believe) Agricole rhum, I wasn't sure what to expect. Actually, alot for the money I paid for the bottle... While this rum did not meet my expectations, it was very interesting and different than the molasses based rums I'm more familiar with. It has a pleasant caramel colour with a subtle red tinge to it. While the initial smell of alcohol was unappealing, the more I sniffed it, the more I found it to be fruity and floral. The flavour was light and fruity, with a little sweetness and again "floral" notes comes to mind. It had a mild burn, but I think I'll continue to try this as a sipper. I could have scored it a 7 due to it's price, relative to better rums than I can get cheaper, however I'll rate it an 8 due to it's uniqueness. Nice color, Nice sniff.. But the thick taste of oak ruins it for me.. And of course the knowledge of that it is a agricole.. This is high Agricola Rum quality, cloose to nine but for me to much oak. this i tried in bar but would like to have in my prvate collection.